It would be “game over” for resistant cancers if they could be outplayed by combination therapies. These therapies, however, would have to deliver the right drugs in the right sequence with the right timing. Also, all the drugs would have to descend within fairly narrow confines—as narrow as an individual cell. This approach to combination therapy sounds like a fast-paced game requiring a high degree of coordination. In a way, it is. It has to get ahead of cancer resistance mechanisms, which can toggle from molecular pathway to molecular pathway to defeat chemotherapy. To develop a winning strategy of combination therapy, scientists based at Harvard Medical School and the University of Waterloo resorted to mathematical modeling. First, the Harvard scientists tracked the fate of individual cells that were under chemotherapeutic stress, an effort that allowed the scientists to clarify the network of molecular pathways the cells used to generate resistance over the course of treatment. Next, the University of Waterloo scientists fed the pathway information into a phenomenological mathematical model, which was able to define the phenotypic transitions of cancer cells in real time. The scientists used their mathematical model to predict an effective combination therapy, which they subsequently confirmed in mouse models of aggressive breast cancer. The details appeared June 3 in the journal ACS Nano, in an article entitled, “Rationally Designed 2-in-1 Nanoparticles Can Overcome Adaptive Resistance in Cancer.” As this title indicates, both elements of a combination therapy were delivered in a single nanoparticle. This approach ensured that both elements would enter the same cell, something many combination-drug approaches currently fail to do. In contrast, the authors noted, a combination of free-form drugs or two nanoparticles, each carrying a single payload, was less effective. The authors attributed this approach’s ineffectiveness to the drugs’ stochastic distribution to cells. To date, theories of drug resistance have relied on the hypothesis that only certain, “privileged” cells can overcome therapy. The current study, however, suggests that under the right conditions and signaling events, any cell can develop a resistance program. The current study’s mathematical model revealed that the PI3K/AKT kinase, which is often overactivated in cancers, enables cells to undergo a resistance program when pressured with the cytotoxic chemotherapy. This revolutionary window into the life of a cell indicated that vulnerabilities to small-molecule PI3K/AKT kinase inhibitors exist and can be targeted if they are applied in the right sequence with combinations of other drugs. 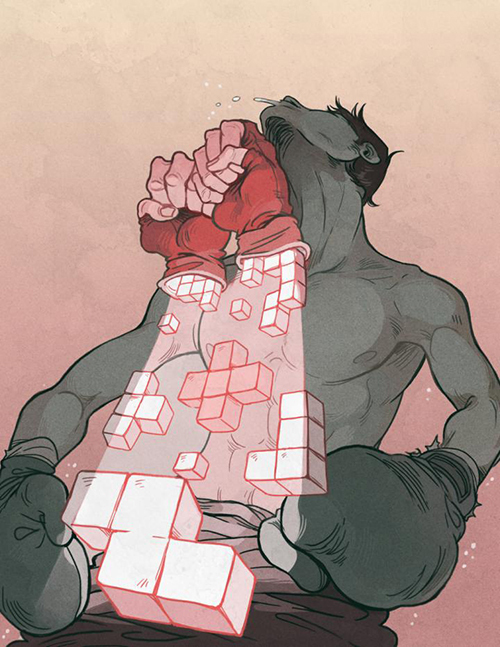 Although previous studies explored the use of drug combinations to treat cancer, the one-two punch approach is not always successful. In the new study, led by Aaron Goldman, Ph.D., a faculty member in the division of Engineering in Medicine at Brigham and Women's Hospital, the scientists resolved to use a nanoparticle approach that would deliver both combination therapy elements to single cells.